My name is Amy Tall Bull (Stiffarm) and I’m an enrolled member of the Whiteclay (Gros-Ventre) Tribe of Fort Belknap, MT. 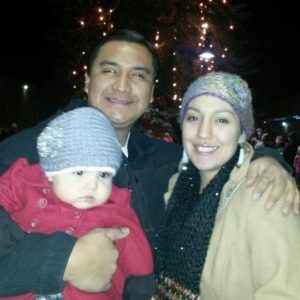 I am also affiliated with the Cree and Blackfeet Tribes of Montana. 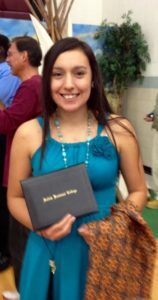 I graduated from Harlem High School in 2007 and afterwards moved to the Flathead Indian Reservation to attend college at Salish Kootenai College (SKC). I was the first student to graduate from the Life Science bachelors degree program in 2012. During my time at SKC I participated in student government and student internship opportunities that allowed me to travel to various conferences nation wide to present my research. After graduating I stayed at SKC to help manage the laboratories in the Life Science department pa rt time while I also began helping with the 2012 elections. I served as a Co-Chair for American Indians for Senator Jon Tester and was also a member of the Montana Indian Democrats Council. I stayed active during election time by registering voters, educating people on the ballot initiates, canvassing, and organizing events and election-day transportation. 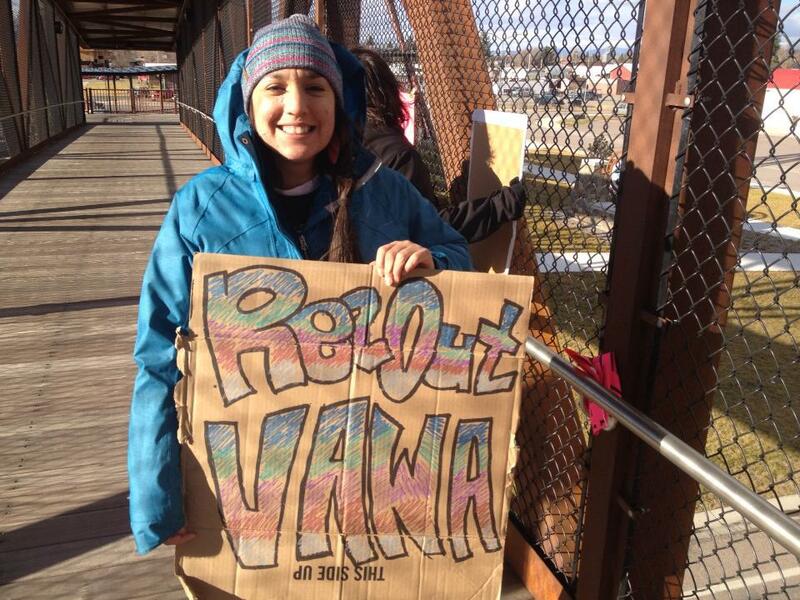 It was so great to see other young people involved in the elections and witness the amazing Native American voter turn out not just on the Flathead Reservation but all across Montana. After the elections I served on the Montana State Equal Pay Equal Work Task Force for one year. 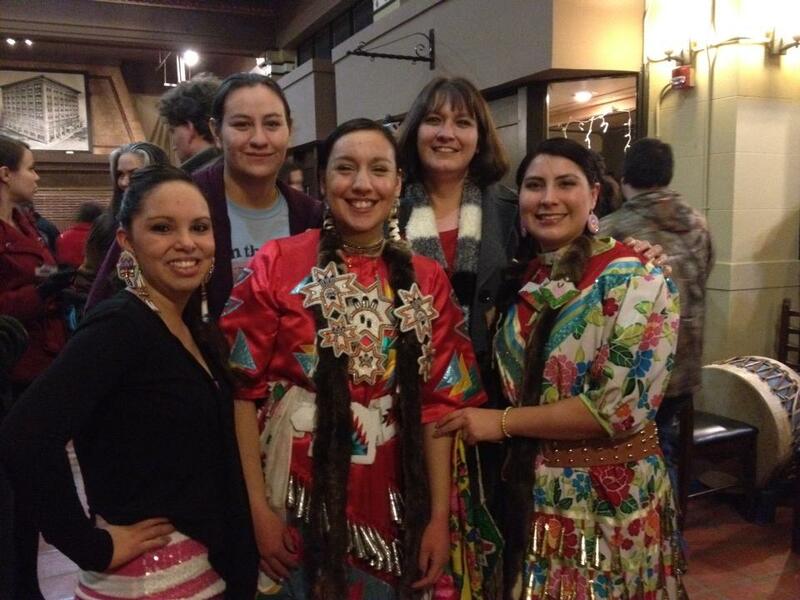 My schooling and personal experiences helped shape my goal to help make our Native communities healthier. I’ve always had in interest in nutrition, but my self-healing journey through a condition called polycystic ovarian syndrome sparked a passion in natural and traditional medicine. For an elective I took Issues in American Indian Health and did my research project on traditional birth practices and maternity care in Native populations. This research struck a new passion for midwifery and natural birth. I wanted to make an impact at the community level so in the summer of 2013, I started the Master of Public Health program at the University of Montana. One of my very first classes was Issues in Maternal and Child Health and ironically later that summer I became pregnant with my first baby. From my previous research I already knew what kind of birth I wanted and utilized a midwife at a stand-alone birth center in Missoula, a doula, and even a chiropractor who helped me turn my breech baby at 36 weeks. The birth of my daughter was the most magical experience of my life. She was born in April 2014 and we named her Tahmya Lynn Tall Bull. My experience as a new mom helped shape another passion of mine-breastfeeding! It wasn’t until I was a breastfeeding mom that I realized how difficult it is to find support in our own communities. 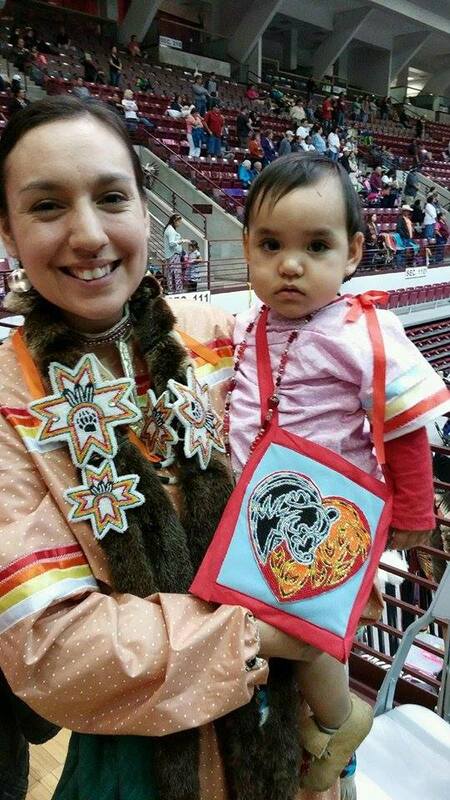 It was during this time that I discovered my dream to create a breastfeeding support organization for Natives in Montana. Currently I’m a member of the Mission Valley Breastfeeding Coalition where I offer peer support to breastfeeding moms. I also use my classes to further my research on breastfeeding barriers and solutions for Native populations. I will graduate with my MPH in May of 2016. 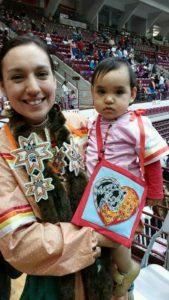 Until then I will be finishing my courses and hope to find employment in the maternal and child health field where I can help Native families. This past fall I signed up to be the assistant coach for the girls basketball program for a local alternative high school on the reservation called, Two Eagle River. I love being able to give back to the community and be a positive role model for the girls I coach. Managing my time and finding the balance between schoolwork, coaching, self care, and caring for my baby is a constant struggle, but I always seem to make it work. I have a great support system and I truly believe that I will be able to find a career that will allow me to make a difference in the health of our Native communities.